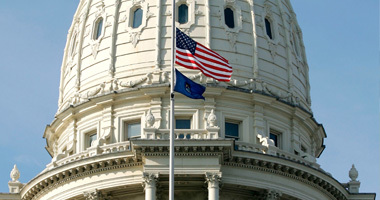 MTA provides a unified voice for Michigan townships on both the state and federal levels. 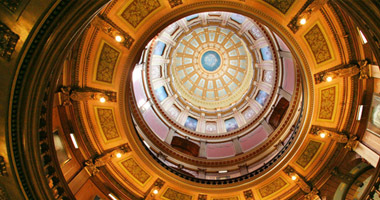 The Association influences legislation, policy and regulations by representing townships before the Legislature, the executive office and state agencies. Each day, MTA advocates for local authority that the broadest spectrum of township officials need to preserve, protect and enhance the quality of life for half of all Michigan residents. 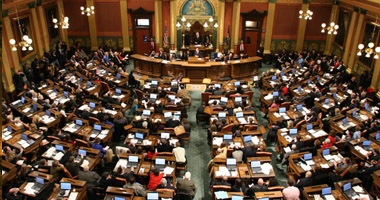 Our Government Relations staff appears before legislative standing and special committees and represents townships on numerous statewide task forces. MTA's Legislative Policy Platform is a adopted by our membership each year at the MTA Annual Meeting, and offers a road map for legislative priorities for the upcoming year. A look at the critical bills that MTA is following as they move through the legislative process, as well as insights into key issues impacting townships, including the "Dark Stores" assessing theory. This full-day educational and networking event provides you the opportunity to learn the latest on legislative issues impacting townships, as well as interact with legislators and network with fellow township officials.